Malus ‘Golden Hornet’, one of the most popular Crab apple cultivars has long been a UK garden favorite due mainly to its abundant yellow fruit that cover the tree during the autumn season. In spring it can be seen covered in white flowers that open from pink buds. Native to the UK, Golden Hornet has been in cultivation since first discovered in the middle of the 20th century. The Golden Hornet is a great addition to any garden with its small green leaves that appear with a beautiful white flower, flushed with pink during the spring and during the autumn the tree is seen bearing yellow fruits. 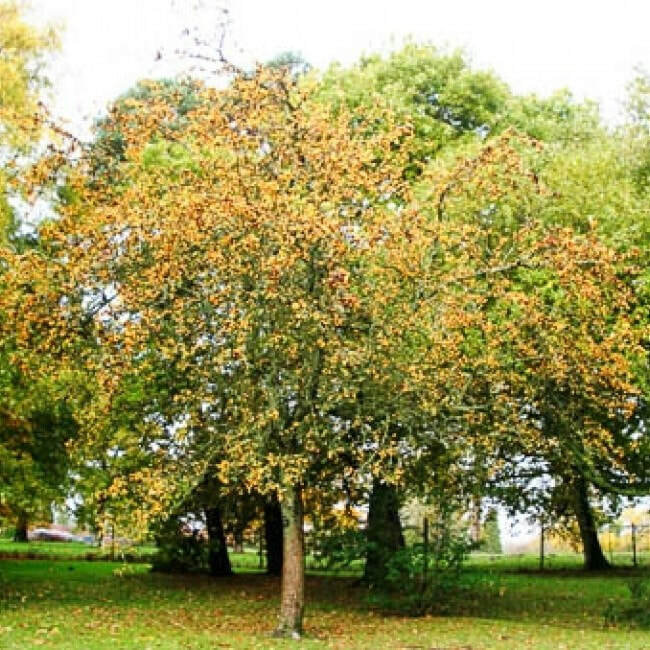 The tree is seen with arching branches with dark green leaves which typically grow to a spread of 5m (16ft).